While making these ultra-thin French pancakes at home may seem like a daunting task, most people often find they are easier to make than traditional pancakes - and so much more versatile! While some recipes call for wheat flour, our favorite recipe uses cornstarch - making for a naturally gluten free treat! 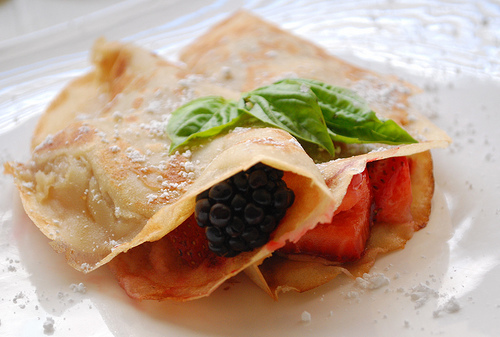 From sweet to savory, crepes are one of the easiest breakfast/brunch/dessert foods you can make, and with so many ways to dress them up or down, how can you go wrong? Simpler than I would have imagined!